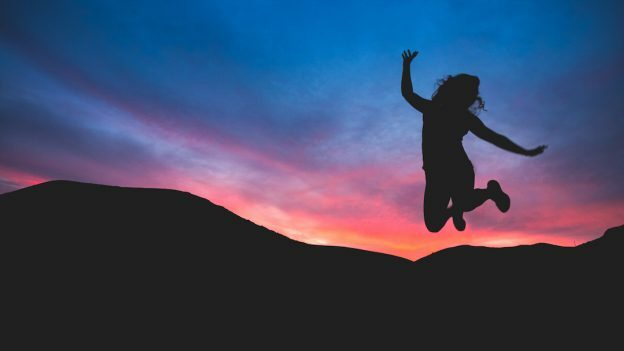 The title of this blog couldn’t be more apropos given recent events at Sage Health as we are absolutely celebrating a huge transition from facing some very recent adversity. We were happy to celebrate the recent rainy weather given the serious California drought conditions, we just didn’t think that meant it would literally rain in our office! In early March, a pipe burst in the suite above us and the Sage Health office became a disastrous flood zone. Stress doesn’t even begin to describe how we felt. How on earth were we going function as a business?! Our staff needed to work, and our clients needed treatments! Our heads were spinning but we banded together, rolled up our sleeves and faced the adversity head-on — focusing on how we could turn this negative into a positive. Immediately, we found a way to maintain business as usual, as best we could, in what was left of the usable space in our current office. We were also lucky enough to temporarily rent the empty space next door to continue offering massage, acupuncture and skin care services. We were beyond grateful that we were able to make it work while we got down to planning how we would renovate the damaged space. Here’s where the fun part comes into all the madness. 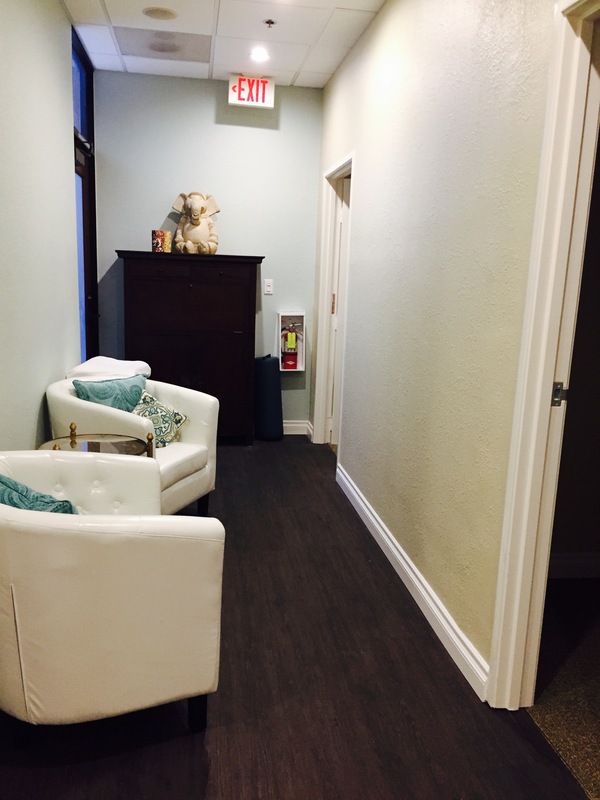 In the renovation planning process, we had this “Aha!” moment that our space really needed some adjustments to accommodate our services that required a quieter environment, such as, massage, acupuncture, skin care, etc. 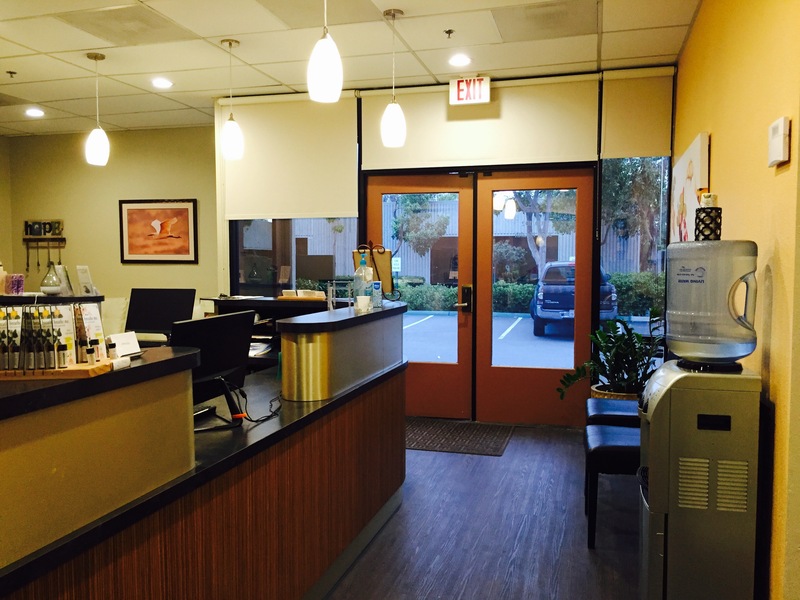 As our current clients will recall, all of these services were previously given in the front rooms near the reception and patient waiting area, which in hindsight wasn’t ideal — though we made it work. So we decided that the front rooms near the reception and waiting area would be used for chiropractic treatments; while the back office space would be transformed into a tranquil spa-like setting where it’s much quieter (and serene!) 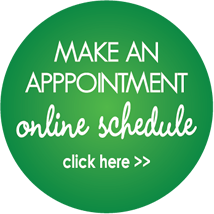 to more effectively accommodate our services that require this type of setting such as massage, acupuncture, skincare, and other bodywork treatments. It’s funny how things work out sometimes. While we certainly wouldn’t have wished for the flood to have happened, it did drive us to improve how our space functions for our clients and staff. We were forced to deal with a disastrous moment of adversity that led us to transition into something that our business truly needed…yet who knows when or if we would’ve ever come to that realization without it! Lesson learned and we are truly grateful. We also want to thank YOU our wonderful patients who bore with us and supported us during the transition. We wouldn’t be here without you! So for the month of May, we’re offering $10 OFF ANY SERVICE! 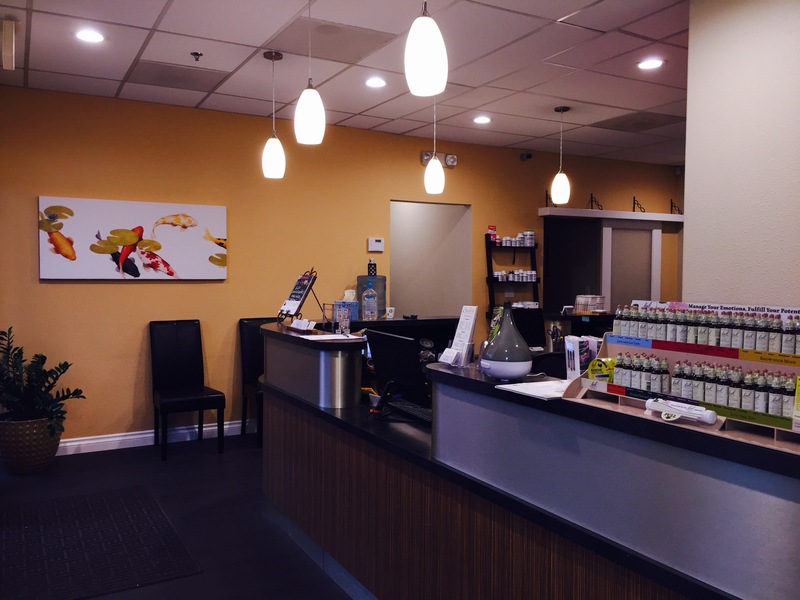 Chiropractic, Chirosage, Fire Cupping, Acupuncture, Massage, Skin Care, etc. This offer isn’t applicable towards insurance co-pays or deductibles but if you’re on our wellness program or a cash patient, you are able to take advantage of this offer. Thank you again and if you haven’t come in to see our newly renovated space, please come see us!